A lot of “fans” on entertainment websites annoy me. 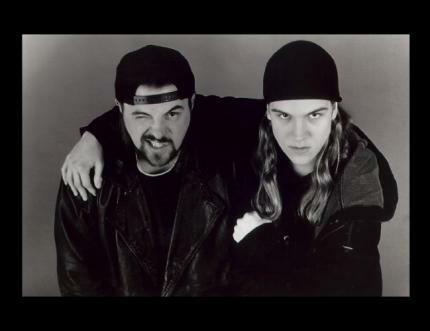 They annoy me so much that sometimes I wish I could pull a Jay and Silent Bob Strikes Back on them. I have never seen such soul-crushing negativity as I have found on comments sections coming from people who supposedly love the franchises they’re freaking out over. The most recent victim is Star Wars, after it was confirmed that Disney plans to release a new Star Wars movie each year. In the comment section for multiple fan sites commentators proceeded to wig out. From some of the posts you’d think Disney was Nazi Germany. They got so ridiculous I did what I swore I would never do and actually posted a comment that amounts to basically what I’m about to say here. It was a flower buried under a landslide of stupid, but a few people actually responded and applauded. It gave me a little hope for humanity. First, I believe what is actually going to take place needs to be clarified: There is not going to be a new Star Wars episode every year. The “episodes” are the main entries in the storyline, IE Episode 4 was the original Star Wars: A New Hope. The “main” episode movies will be once every 2-3 years, starting with Episode 7 in 2015, just like most major franchise movies. What Disney is planning to do is release stand alone movies in the “off” years, that will focus on different timelines, characters, and probably even storytelling styles. The Star Wars universe is a freaking huge playground. The last 25 years worth of expanded universe material in all the games, novels, and comics proves that there’s a TON of room to play without peeing in the cheerios of the main story. Second, what Disney is planning to do with Star Wars is no different than what they’ve been doing with the Marvel Universe since 2008; which a majority of the movie going public, the aforementioned functionally retarded “fan” trolls included, generally like-love. Since the first Iron Man there has been at least one, often more than one, Marvel movie released every year. From a franchise perspective, why should Star Wars be any different? The argument could be made that they have even more room to tell different types of stories/do different types of movies with the Star Wars universe than they can with Marvel. Third, Disney hasn’t given us any reason to think these movies won’t be quality products….yet. They’ve done a great job with Marvel and Pixar so far. 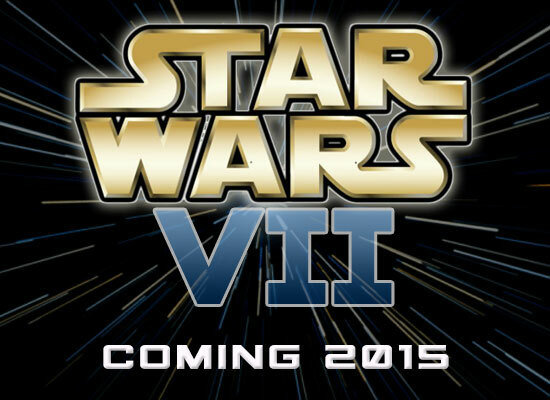 If this means we get a new, quality Star Wars movie every summer, what’s the problem? Seriously, it’s one thing to discuss things you like/dislike about this stuff with other fans of the genres. 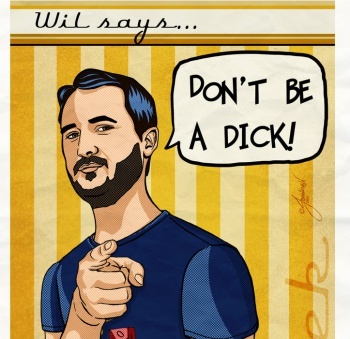 It’s another to be a complete douchnozzle troll just because the internet is anonymous and you can. It’s hard to have fun and share about all the awesome (and sometimes not-so-awesome) stuff that’s coming down the pipe when a small, but very vocal, minority of jerkwads make those conversations horrible to even look at. For instance, the Man of Steel trailer last night was freaking beautiful. I was stoked, as was just about all my friends. I go to these fan sites and amidst the praise is the inevitable negative douchebaggery that just lets some of the air out of the geek tires. I don’t mind people having different opinions or not liking something I thought was amazing. That’s fine. Different strokes and all that. But there’s no reason to be just an offensive @$$hole about it. I get it: people love to troll because they’re pathetic individuals with nothing better to do with their time, but I can’t be the only person sick to death of this crap. Not to mention the negative effect it can and does have on the things we love. You may not think that people with the money/decision making power pays any attention to this crap, but you’d be very wrong. They do, or at the very least they pay people to pay attention to it for them. Basically, you’re part of the reason we can’t have nice things. So, for myself and the rest of my fellow geeky fans I have only this to say: STOP IT! J.R. Broadwater is the author of the non-fiction book Down with the Thickness: Viewing the World From a Fat Guy’s Perspective, the sci-fi detective novel You Only Die Twice, the fantasy novel The Chosen: Rebirthing Part 1-, and the superhero tale Just Super, all available now in digital and paperback formats. Sample chapters and more information about these books can be found here. Digital copies on sale for a limited time for $0.99. People are working off a model in their brains where George Lucas writes, directs, funds, and edits these movies from scratch. Those days are over, the man has retired. Now everyone has their own job taking over components of what Lucas used to do. Yes, if Lucas were doing six Star Wars movies in six years, we’d have a reason to worry about quality. But that’s not the case. That model is not accurate anymore. Both Marvel and Harry Potter films worked on a timeline very similar to what we’re about to get and both succeeded.